The Engraving department works 24 hours, without interruptions. Engraving of photopolymer plates in HD Flexo and Plano top Dot. 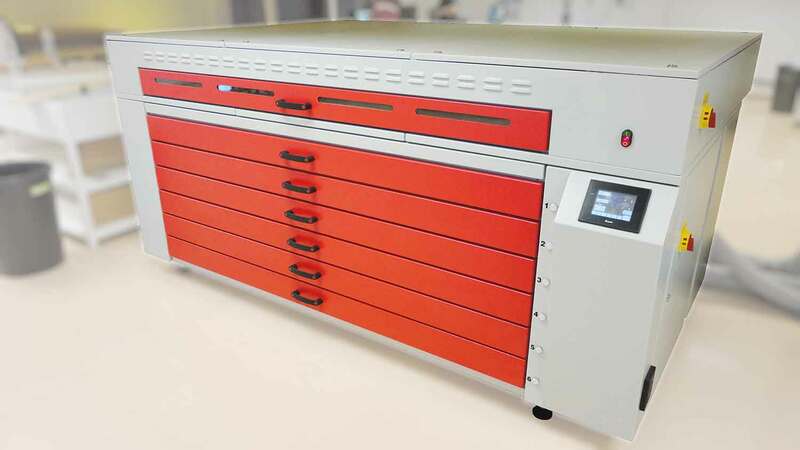 Anilox maintenance service (cleaning with anilox laser). 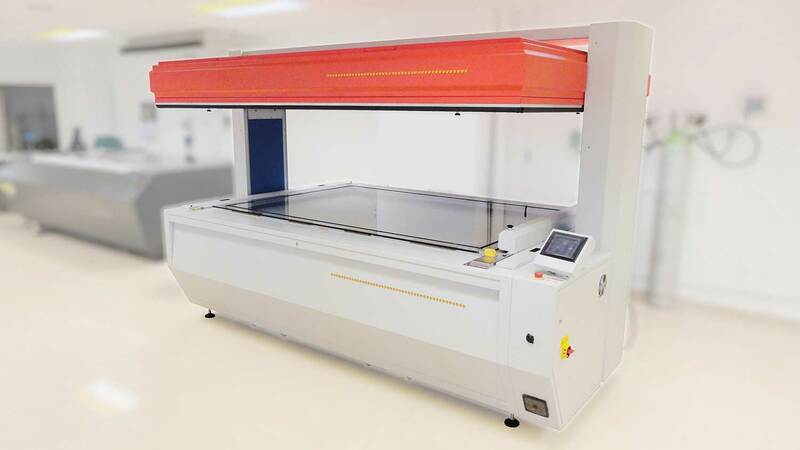 High-speed high-definition laser engraving, to improve fineness in hatching areas. Printers get better consistency in printing. The insolation unit allows to automatically create a suitable atmosphere with insolation nitrogen to maintain a 1: 1 image. Gets a resolution of precise details, flat dots and superior reproduction of solid dithering with programs such as HD Flexo. 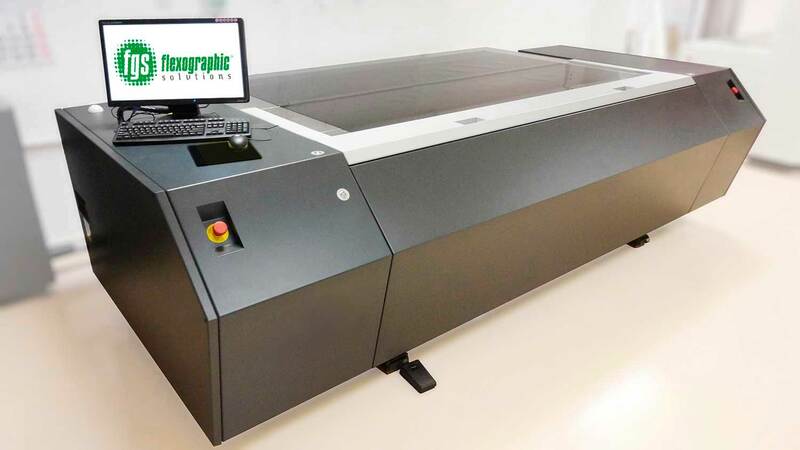 High dotted resolution, with excellent line definition, deep backs and clean bottoms, is achieved to meet the highest Flexography standards, regardless of the thickness or size of the plate. An effective and professional company is one that anticipates the obstacles and real problems of our clients, as is many times the time. That's why we have 2 drying units and a finishing unit, in order to keep the machinery in the manufacturing process and offer solutions to the needs of flexography. Conventional flexographic plates have been designed to offer an optimal balance between quality, productivity and speed. Ideal for various types like cardboard and simple bags. HD Flexo disappears the difference. Delivering consistency and respectability, smooth transitions and vivid colors with better print quality, HD Flexo raises the industry standard for flexo printing. 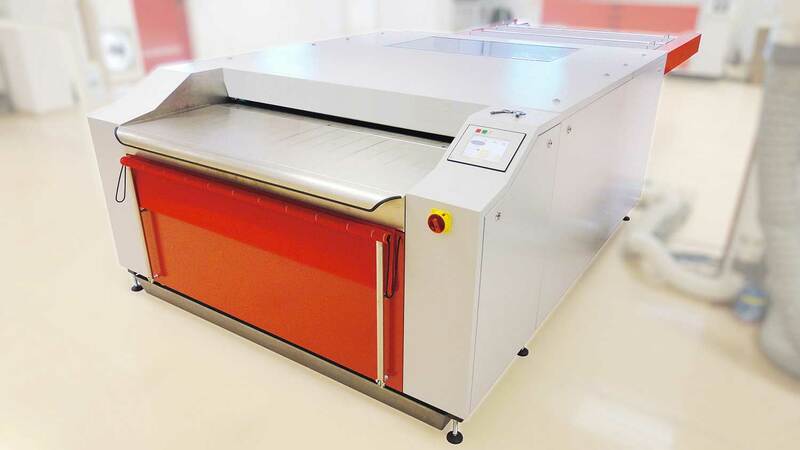 The digital exhibition of the plate guarantees a greater consistency in the production of plates and in the printing. High-end flexography. We investigate the combination of the best technologies in order to obtain surprising results. Thanks to this, we managed to improve the print quality, at levels never seen in flexography.